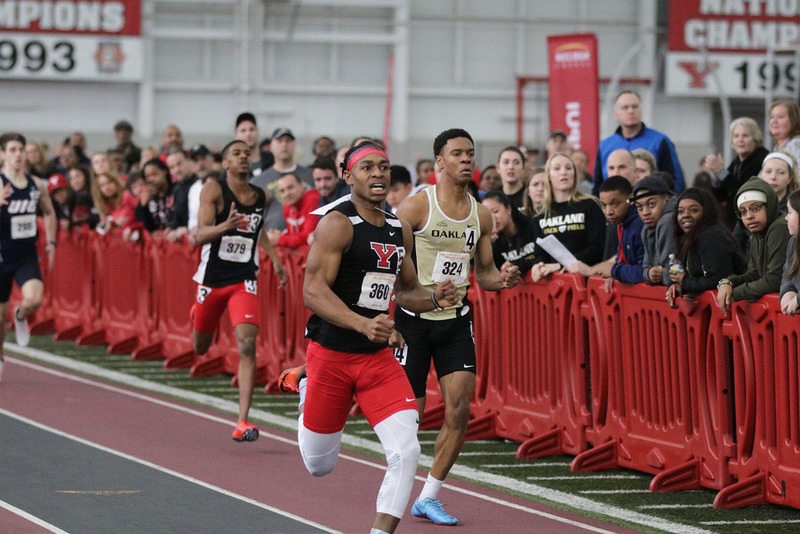 For the second time this spring, members of the Youngstown State University men’s and women’s track and field teams swept the Horizon League Weekly awards. Collin Harden (In front) takes the lead in a race during the Horizon League Championships in February. He was one of the athletes of the week from Youngstown State. 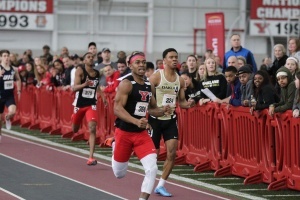 Collin Harden (men’s track), Arnaldo Morales (men’s field), Amber Eles (women’s track) and Abby Jones (women’s field) all received Horizon League accolades, the league announced on Tuesday. Harden won the 400-meter hurdles and was second in the 400-meter dash at the Westminster Invitational this past Saturday. He lowered his school record in the 400-meter hurdles running a time of 51.87. He won the event by an impressive 2.65 seconds. He was second in the 400-meter dash with a time of 48.65 seconds. For the second time this indoor season, Arnaldo Morales was named male field athlete of the week by the Horizon League. He won the high jump at the Westminster Invitational on Saturday as he cleared the bar at 2.14 meters. He started the meet at 1.95 meters and cleared 2.00 meters on his third try, 2.05 meters on his third try, 2.10 meters on his first try and 2.14 meters on his first try. He was the only jumper to clear 2.00 meters at the meet. Amber Eles was named female track athlete of the week. She picked up wins in the 100-meter hurdles and the 400-meter hurdles on at the Westminster Invitational. In the 100-meter hurdles, she won with a time 13.79 seconds (winning by 0.67 seconds). In the 400-meter hurdles, she won by 0.11 seconds finishing with a time of 1.02.79. Abby Jones increased her school record in the high jump from 1.71 meters to 1.75 meters on Saturday at the Westminster Invitational. 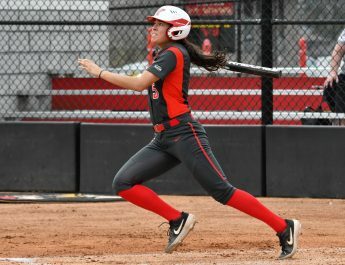 That helped her be named field female athlete of the week in the league. She passed through 1.65 meters before clearing that height on her first try. She cleared 1.70 meters on her first attempt and broke her mark at 1.73 on the second try. On her third attempt at 1.75 meters, she cleared the height to win by 0.15 meters and eclipse her record from April 2017.